A Political Meltdown in Venezuela? Things are heating up in Venezuela in ways we have not seen before. 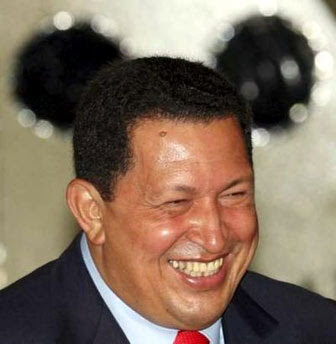 After revoking the broadcast license for independent television station RCTV in 2007, which removed it from the public airwaves in 2008, Hugo Chavez has now forced Venezuelan cable television services to cease providing the RCTV channel to their subscribers, along with numerous other stations he regards as threatening to his regime. This comes on the heels of his closure of some 150 radio stations who did not offer what he deems to be the proper level of support for his policies. 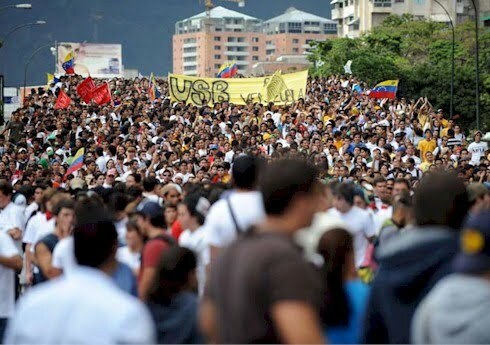 Protests have sprouted up all over the country, though the strongest have been very large student-led demonstrations in Caracas and also in the western state of Merida, as police and national guard units have violently responded to what appears to verge on a mass uprising. 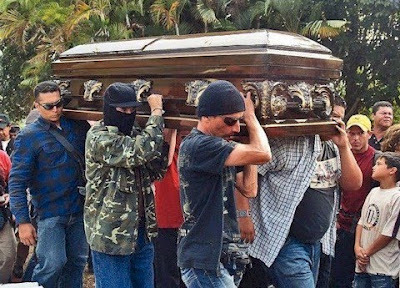 There have been at least two deaths thus far, but the situation threatens to take a turn for the worse, particularly in Merida, where a new phenomenon has emerged within the Venezuelan resistance. In the protests in Merida, the opposition has shot back. The demonstrations in Merida took an ugly turn Monday when protesters responded to an appearance by the pro-Chavez Tupumaro militia who joined National Guardsmen struggling to resist protesters and restrict their movements when shots felled a 16 year old Chavez supporter named Yorsinio José Carrillo Torres. Other shots ensued, with at least one volley coming from the protesters themselves, who wounded several guardsmen, one of whom was taken to intensive care. 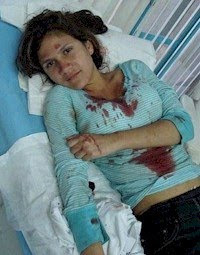 An anti-Chavista student was murdered later in the week, which Daniel Duquenal reports was likely the work of the Tupumaro acting in retaliation. The protests have spread across the entire country to include the states of Merida, Lara, Zulia, and more. And the results are revealing cracks among Chavez's former supporters. There have been resignations from his cabinet, forcing him to name a new Vice President and Defense Minister. 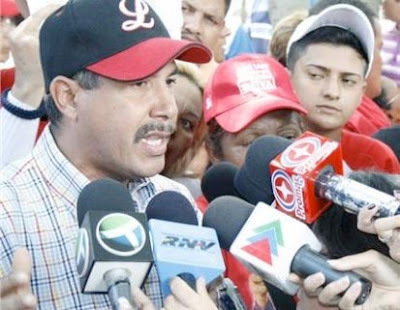 With mounting protests in the state of Lara, Chavez has threatened to nationalize its police force, but its governor and former ally Henry Falcon has rejected the takeover stating that the police in the state have "for months understood the necessity of their internal transformation so as to create an ethical and responsible compromise with the people of Lara." The implications of Falcon's use of the adjectives "ethical" and "responsible" provide some indication of the internal debate which must now be taking place among Chavez's supporters; a most telling sign of the pace and direction of political change in the country. 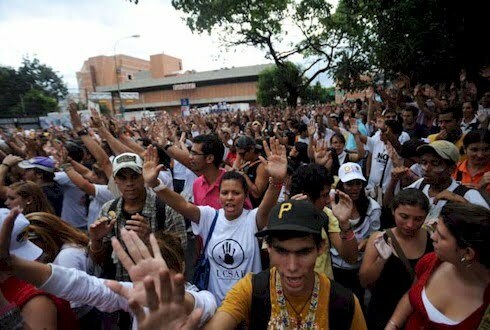 The driving force behind the protests now underway all over Venezuela is clearly the activism of university students in Caracas, who have shown up every day this week to demonstrate and at times, especially last Monday, in the tens of thousands. They are presenting a unified resistance to the closure of RCTV and their dogged, stubborn insistence upon change is igniting and emboldening anti-Chavista elements across the country. 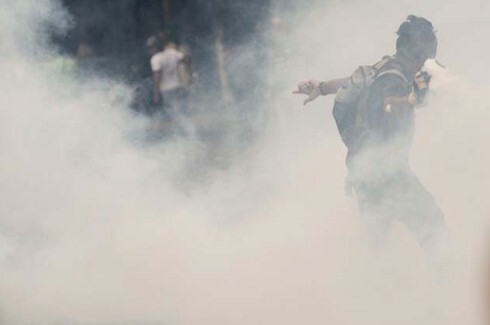 The student demonstrations last Monday were peaceful in nature until they attempted to approach the Venezuelan communications agency offices of Conatel, when the police retaliated with tear gas and beatings to disperse them, a response that led to some of the students throwing rocks and returning the tear gas canisters in a substantial display of bravery in the face of intimidation from the regime. 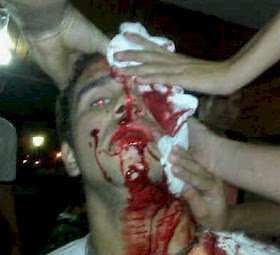 The Chavez government's retaliation against the students has begun, and it is taking various forms. Andres Bello Catholic University is practically under a state of siege at this time, and students are being arrested, detained, beaten, and otherwise harassed as they come and go from the university grounds. Chavez refers to this move as a "revolutionary action," though the rest of us might view it as simple terror. And the intimidation of student protesters has gone all the way to torture, a charge the Chavez regime has unsuccessfully denied. As has always been the case, it is very difficult to gauge the current political climate throughout Venezuela in terms of the impact of the closure of RCTV, the student demonstrations and larger protests around the country, and the at times brutal response of the Chavez regime. But there is now clearly something new in the mix; the opposition is becoming emboldened and for a number of reasons. RCTV has been one of the most popular television channels in the country for years, and this has as much to do with soap operas and other entertainment, i.e. "non-news," programming as anything else. Its closure cannot be viewed with satisfaction in the country by very many Venezuelans beyond the most disciplined Chavistas, an observation that is strengthened when the RCTV closure is grouped together with the other recent actions taken against hundreds of broadcast outlets in radio and television combined. And all of this is added on to the very real and serious complaints Venezuelans have with the regime for its gross mismanagement of practically all facets of the economy and public life. The students know they have an audience that is willing to listen. It is a purely subjective observation on my part, but I make it forcefully. There is something in those smiles and bright eyes that tells me they know something we don't. As best as I can explain it, they have seen the regime unmask itself before the Venezuelan people. Chavez recently acknowledged that he is a Marxist and what we are therefore seeing, in my opinion, are the steps necessary to put aside the trappings of Democracy and to impose dictatorship in its place. The divisions among Chavez's former supporters, the geographical breadth of the protests, and the intensity and courage of Venezuelan student activism tell me that he will fail and the students know it. Chavez is on his way out. The intensity of the recent protests in Venezuela has exploded within the blogosphere and it would be impossible to track it all. But I want to take this opportunity to identify the blogs I believe will offer the most informed insight and who I believe represent some of the finest work done on Venezuela that is now out there on the web. Alek Boyd has really led the way, being one of the first to truly nail Chavez for what he is and who I acknowledge was a great influence upon my own decision to blog Latin American leftism. Check out his most recent commentary on the Wall Street Journal "weighing in" on the meltdown of the Chavez regime. I am ever an admirer of Gustavo Coronel, who blogs in both Spanish and English. Gustavo sees the significance of Chavez's clash with the students very clearly, give "dictatorship - vs - students: the death of the Chavez nightmare" a look, along with everything else. From within Venezuela, Daniel Duquenal's Venezuela News and Views blog is one of the very best and often has some of the finest insights delivered quickly and succinctly. The "Let's Do the Math on the Gerrymander" article in the Caracas Chronciles blog is only the most recent entry, keep an eye on the site for some excellent and serious analysis. Miguel at The Devil's Excrement has been posting some very fine content. I especially recommend his take on a recent and very influential editorial by Teodoro Petkoff of Tal Cual that seems to have touched Chavez to the quick, as he is now threatening retaliation against the newspaper. Perhaps the first of the "Freedom Bloggers" on the web were the anti-Castro Cubans and/or Cuban-Americans--I wouldn't want to misname them--and they are not missing the significance of what is going down in Venezuela. The Babalú Blog is among the best at getting out the news in a hurry and you might find them among the first at reporting. Ziva Sahl's Blog for Cuba has been tracking what is going on, frequently in Spanish but at times in English, and very much worth a good look. Finally, for those looking for exclusively Spanish content, I always recommend Martha Colmenares, who has been posting articles from Venezuelan news sources at a rapid pace recently and who does perhaps the finest job anywhere of "covering the bases"--I don't think Venezuelans would object to a baseball analogy--when it comes to presenting a comprehensive coverage of what is transpiring in the country she loves so dearly. I will have much more to say on Venezuela in the coming days and months ahead. These are fascinating times. Sometimes it's so good it's unbelievable. And it is unbelievable, in case some of you out there are cruising the web trying to argue the nonsensical. Anyway, here's the latest from the Chavez regime; the United States caused the Haitian earthquake. And while it may not come directly from Hugo's mouth, his ministry of information and more are circulating the story. (See update note below.) The Cubans are now in on the act, and they are also backing up this ridiculous allegation. While there is an overabundance of misinformation and disinformation out there on the supposed tie-in between the High Altitude Auroral Frequency Research Program (HAARP) and the Haitian earthquake, as well as its purported relevance to recent earthquakes in Sichuan, China; Eureka, California; and more. The plain fact of the matter is that the physics, especially geophysics in this instance, are just not there to back it up. A lot more could be added, but it simply wastes time. To even begin to go down that road, I would have to include the reports of UFO sightings over Port au Prince the night before the earthquake. Yes; it's just that outlandish because, of course, they would be aware of the development of this quantum leap forward in human war-making capabilities, and would be seen monitoring its use. Oh My God! 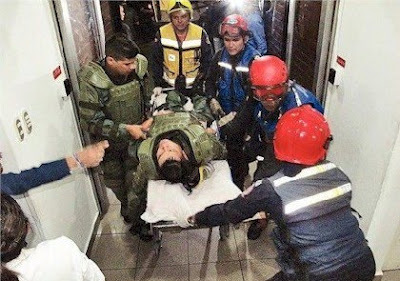 What follows is a translation into English of an article posted at the ViVe television network site, a Chavez propaganda organ within the Venezuelan Ministry of Information, which presents this outrageous story as fodder for the conspiracy theorists of the world to lap up as mother's milk. The [Russian] Northern Fleet has been monitoring American naval movements and activities in the Caribbean since 2008 when the Americans announced their intention of reestablishing the Fourth Fleet that had been dissolved in 1950, to which Russia responded a year later with a Russian fleet headed by the nuclear cruiser "Peter the Great," beginning their first exercises in that region since the end of the Cold War. Since the end of the decade of the 1970's, the United States has "enormously advanced" the state of its earthquake weapons and, according to these reports, now employs devices that use Pulse, Plasma, and Tesla Electromagnetic Sonic technology together with "shockwave bombs." Moreover, the report compares the American navy's testing of two of these "earthquake weapons"; last week, when a test in the Pacific caused a magnitude 6.5 earthquake, hitting the area around the city of Eureka, in California, without causing deaths, with its test in the Caribbean which has already caused the deaths of at least 140,000 innocent people. As the report indicates, it is "probable" that the American navy would have had "total knowledge" of the catastrophic damage that its earthquake test potentially could have on Haiti and that it would have pre-positioned its appointed commander of the Southern Command, General P.K. Keen, on the island to supervise relief efforts if needed. As for the final outcome of the tests of these weapons on the part of the United States, the report warns, it is the U.S. plan for the destruction of Iran through a series of earthquakes designed to bring down the current Islamic regime. According to the aforementioned report, the system tested by the United States (Project HAARP) would in addition permit it to create climatological anomalies causing floods, droughts, and hurricanes. By agreement with another coinciding report, they have data which establishes that the earthquake in Sichuan, China, 12 May 2008 with a magnitude of 7.8 on the Richter scale, also was created by HAARP radiofrequency. 1. Earthquakes in which the depth is linearly identical along the same fault, were produced by linear projection of induced frequencies. 2. The configuration of satellites permits the generation of concentrated projections of frequencies at determined points (Hippocampus). 3. They have developed a diagram regarding the linear sequence of the reported earthquakes which coincidentally were all produced at the same depth. Venezuela 8 January 2010. Depth 10 kms. Honduras 11 January 2010. Depth 10 kms. Haiti 12 January 2010. Depth 10 kms. The rest of the aftershocks had depths of around 10 kms. Following the earthquake, the Pentagon stated that the hospital ship USNS Comfort, which was then docked at Baltimore, began to recall its crew to leave for Haiti, even though several days would pass before the arrival of the ship. Naval Admiral Mike Mullen, Chairman of the Joint Chiefs of Staff, said that the United States Army was at work preparing the emergency response to the disaster. [Lieutenant General Douglas M.] Fraser, of the Southern Command (SOUTHCOM), said that United States Coast Guard cutters and Navy ships in the region also were sent to offer aid though they have limited relief supplies and helicopters. The super carrier USS Carl Vinson will be sent from the naval base at Norfolk, Virginia, with a full complement of planes and helicopters, it arrived in Haiti in the early afternoon of January 14, said Fraser. Additional groups of helicopters would join the Vinson, he stated. The United States Agency for International Development (USAID), was already operating in Haiti before the quake. President Obama was informed of the earthquake at 5:52 in the afternoon the 12th of January and he asked his staff to ensure that employees of the embassy were safe and that they begin preparations to provide the necessary humanitarian aid. According to the russian report, the Department of State, USAID, and the Southern Command of the United States began their work of "humanitarian invasion" sending 10,000 soldiers and contractors, to control, in place of the UN, Haitian territory after the devastating "experimental earthquake." Hugo's losing it completely down there. Or maybe I should write, "Hugo's finally showing us" that he lost it a long time ago. I have edited my original copy for accuracy on the question of whether Hugo Chavez himself has spoken the charge in a documented source. Alek Boyd has clarified that, while there is support for the story from no fewer than four sources within the Chavez regime and apporea.org, a Chavez political organization, Chavez has not been recorded as making the charge in person. StJ.